This is a 1912 Photograph printed in a Magazine by Alice Austin! The size of the page is approximately 6.5x8inches. 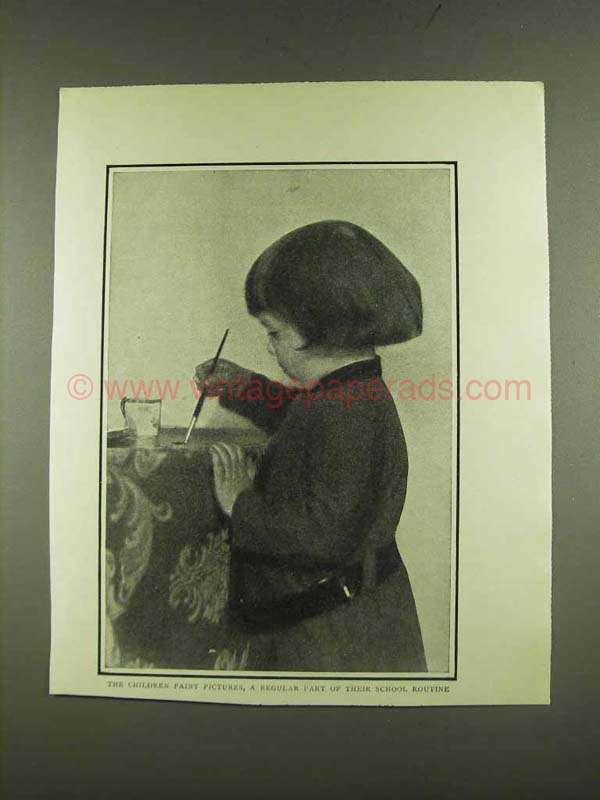 The caption for this photo is 'The Children paint pictures, a regular part of their school routine' The page is in great condition. This vintage photo would look great framed and displayed! Add it to your collecction today!